A Province wide society of over 900 members and 23 regional chapter. 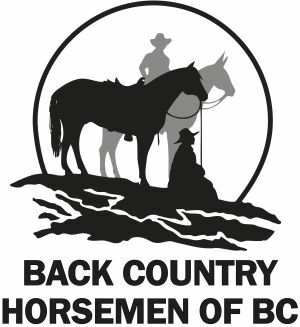 Whether you are new to trail riding or are a seasoned pro, ﻿Back Country Horsemen of BC (BCHBC) offers a friendly atmosphere for all interested in trail riding and back country equestrian recreation. Don't let our name fool you, at least half our members are women and to encourage the next generation of trail riders, youth registration is free. The organization focuses of safety for horses and riders, environmental stewardship﻿, trail building and maintenance, ...and fun!